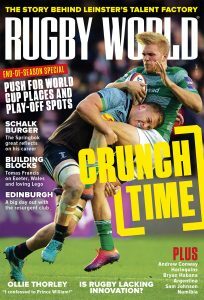 With the Women’s World Cup kicking off in Dublin on Wednesday 9 August, the new issue of Rugby World features more than 20 pages of coverage of the tournament, providing readers with an insight into the game’s key players. Plus, we look ahead to the Rugby Championship and the new Guinness Pro14 tournament. Here are ten reasons to get a copy of the September issue – and find out how to download it here.